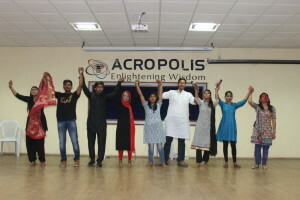 Acropolis Faculty of Management and Research organized a Cultural event on 21st April 2018 for MBA II and MBA IV semester students. 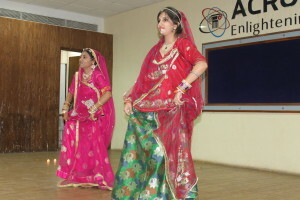 The objective of the event was to enable students to nurture their talent by participating in various cultural events such as group and solo dance, solo singing, drama, fashion show, mono act and poetry. 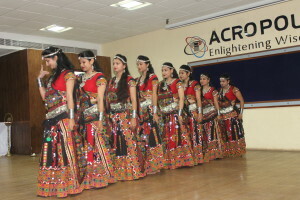 Students also understood and learn the concept of event management by organizing the various cultural activites. Total 24 performances were there comprising of around 70 students. The best performers were given gift hampers. 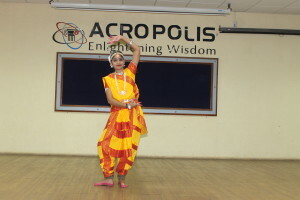 The best performers for the group dance were Bhavini and group from MBA II Semester. In the category of solo singing and dance the best performers were Deepak Chaudary and Vanshi Desai respectively. In fashion show, the best male model and female model were Lokendra and Aditi Sohani from MBA II semester. Special appreciation was given to Drama and Mono Act based on social cause. The students showcased their talent in the Institute Auditorium. 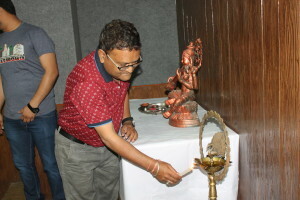 The overall coordination of the event was done by Dr. Pragya Jaroliya. The event was hosted by Rukhsar, Kanchan, Shrashti, Priyanshi, Sophia and Harshini of MBA II Semester.